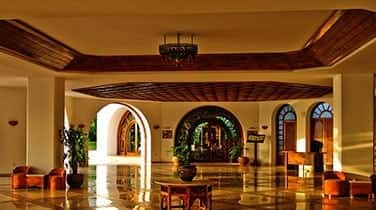 Commercial Granite Refinishing for Aventura businesses will rejuvenate your dull and worn natural stone when you call AAA Marble Care. 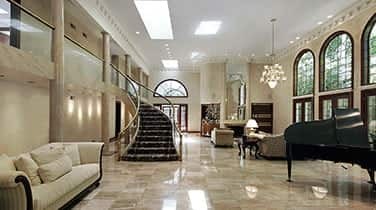 Family owned and operated, we have established ourselves as one of the most experienced and diligent providers of granite and stone refinishing in the area. Our technicians understand that normal daily use can lead to wear patters and other wear and tear in your stone surfaces. When the luster and sheen starts to diminish,we can come in and restore the shine that you desire. For those high traffic areas, a monthly maintenance polish is a good way to keep the finish in top condition. Our knowledgeable staff will work with you to come up with an affordable solution for your refinishing needs. 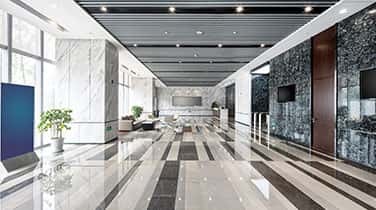 The expertise of our staff is unsurpassed by any others as we are dedicated to providing Commercial Granite Refinishing in Aventura that is satisfaction guaranteed. 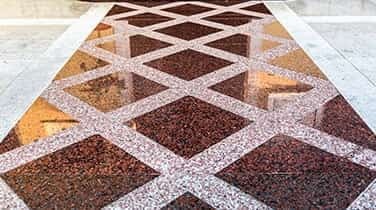 Treating your stone surfaces with care, we utilize state of the art techniques and tools to restore and luster and shine to your granite and stone. Diamond grinding, high quality stone polishing pads, nonabrasive polishing powders and other machinery is employed to move any etching and stains that may have become embedded in stone and replace the dullness with renewed shine. Whether your project is small or large, our helpful staff is there for you. Give us a call today to learn more about why our family owned and operated business is the right choice for your business.